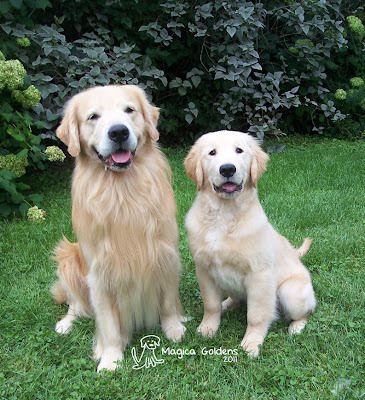 Magica Goldens: Kipling at 18 weeks. items, I ended up catching up on some sleep after a rough couple of on-call nights. I did manage to get all three dogs brushed out and trimmed (forgetting entirely how much work it is to trim an 18 week old puppy) and dremeled all 70 toenails (54 canine, 16 feline). If that sounds exhausting (2 hours start to finish) it totally was! The big boys really needed significant furnishing trims (ears, feet, tails and rear legs) as I've been lax on their grooming for a few weeks. This was Kipling's first real grooming experience - up on the table for a reasonably long amount of time and while he lost patience with the whole process, he really was a super star. After I got them all groomed up (and before they got covered in puppy spit) I dragged them out for another group picture. 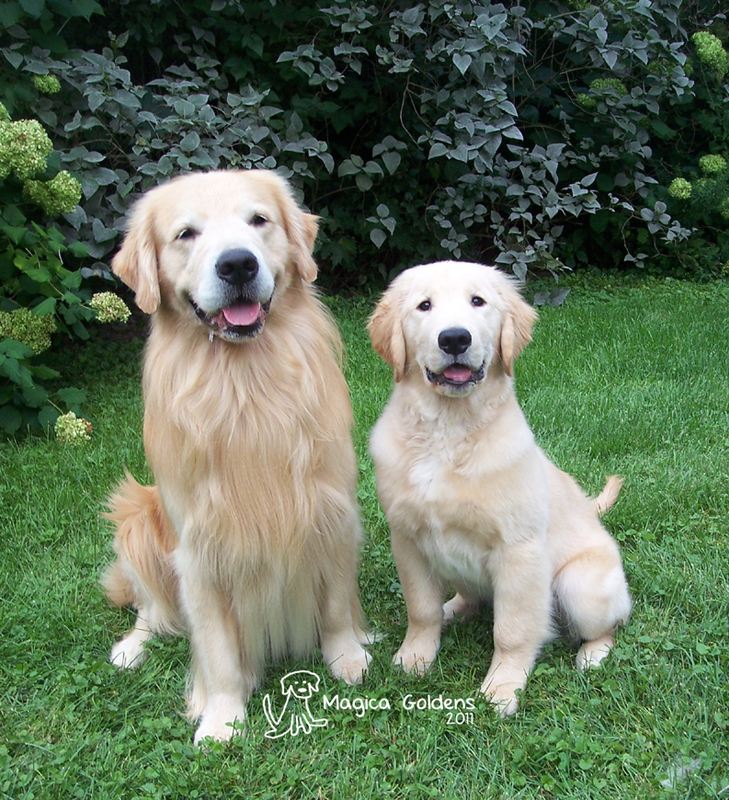 August 21st, 2011: Murphy (7 yrs), Teller (4 yrs) and Kipling (18 weeks). August 21st, 2011: Two cheeseballs cut from the same cheesecloth. August 21st, 2011: YELLLLLLOOOW! (that's for Ann). 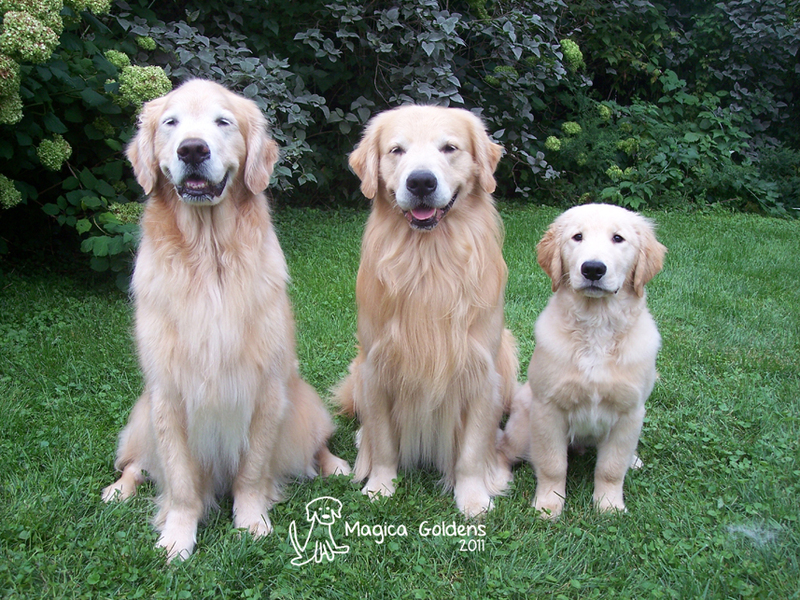 What a handsome, Golden family. Brains and beauty.....NICE.